action packed 800 calorie kickboxing workout in Chicago! Get fit & look Great! 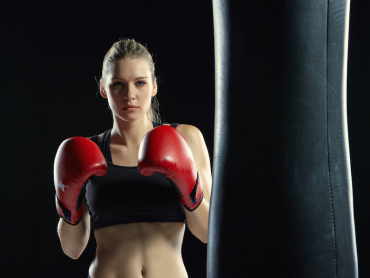 At StrikeForce Fitness, our StrikeFit Kickboxing program will provide you with a high intensity and powerful workout. StrikeFit is a kickboxing workout unlike any other, which involves proper striking to a heavy bag, focus mitts, and thai pads and is supplemented with strength training and body weight exercises. At Krav Maga Fitness in Chicago, our trainers will challenge and push you through fun and high-intensity workouts, specifically designed for you. Forget your old and mundane gym routines and try something new with our Fitness programs! We promise to whip you into the best shape of your life, and leave you wanting more! If you are looking to lose weight, get in shape, or just wanting a new workout regimen, then The StrikeFit Challenge might be for you! StrikeForce Fitness in Chicago is looking for men and women of all ages and fitness levels to participate in an 8 week fitness challenge that is guaranteed to help you get in shape and change your life.